Copper, a metal often used for its variety of unique properties, is expected to have an exponential increase in demand. Experts suggest a nine fold increase in the next ten years. Today the demand for copper is roughly 185,000 tones this year. By 2027 this figure is expected to be around 1.74 million tones. But what is going to cause this massive leap in demand. The majority of the increase is caused by the expected increased demand for electric vehicles. Electric vehicle use nearly double the amount of copper per vehicle when compared to traditional gas run version. Copper is used in several more components in electric vehicles (EVs). A study conducted by IDTechEx, depicts the increased use of copper in EV technology. Copper is used in batteries, wind-ins, copper rotors used in the motors, busbars used to connect modules, and cells in battery packs and other charger infrastructure. This additional use of copper compared to traditional vehicles adds up. EV vehicles require around forty kilograms of copper, plug in hybrid electric vehicles require sixty kilograms, and battery electric vehicles require eighty-three kilograms. As one would expect, EV busses require a substantial amount of copper. Battery powered electric bus uses 224-369 kilograms of copper depending on the size of the battery. This is all in comparison to the twenty-three kilograms required by tradition vehicles. 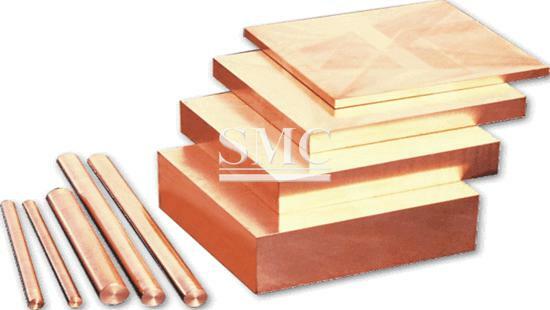 With the expected increase in demand for more environment friendly transportation, the copper demand will also increase. Today there are around three million electric vehicles operating on the road. However, by 2027 industry experts and analysts expect this number to be around twenty-seven million. This increase stems from the increasing affordability of EVs. In addition, rapid changes in charging ports and infrastructure also make EVs more convenient to use. The increase in technology allow for EVs to run longer and last longer than previous models, boosting their functionality. The increase demand in copper also is due in part to the emergence of energy independent vehicles (EIVs) that use copper-powered photovoltaic panels to harness renewable energy. Innovations and environmental concerns play a large role on the demand for copper and other natural resources, but will we be able to keep up with demand?